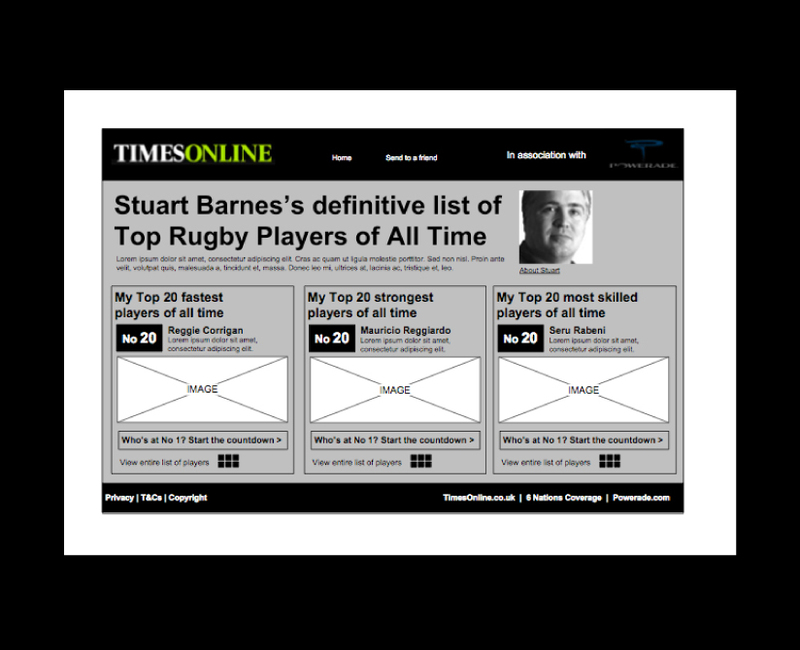 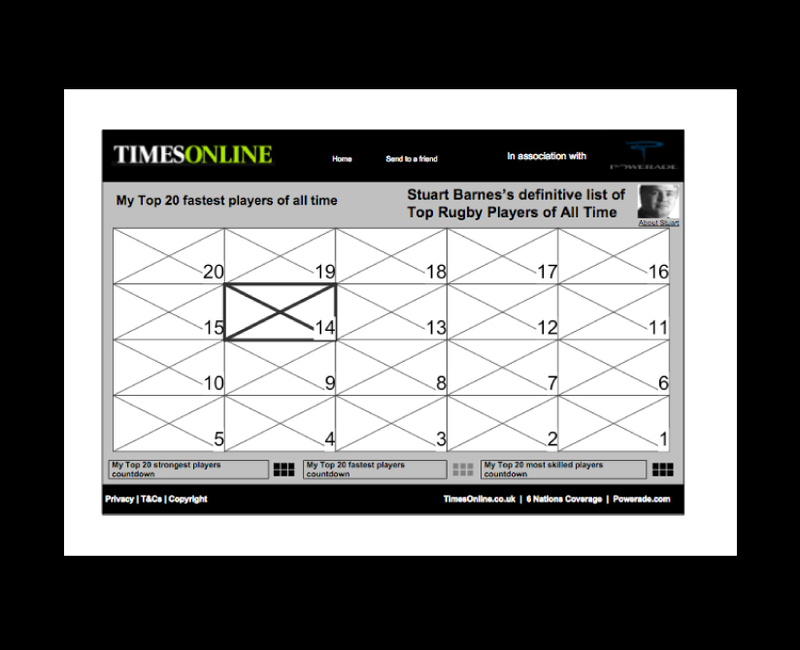 In conjunction with Powerade and the 2008 Six Nations competition, I helped create a Flash pop-up designed to showcase a Times' writer's top 60 rugby players. 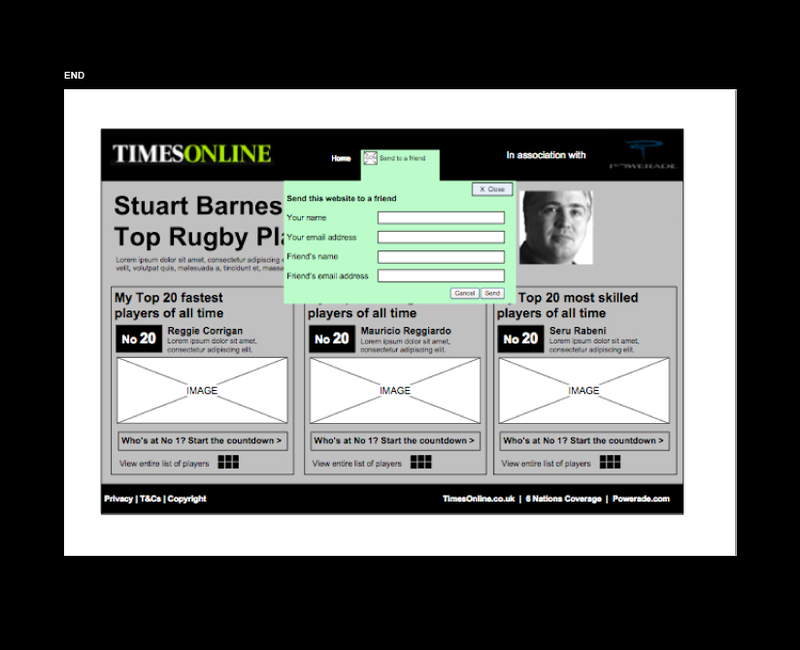 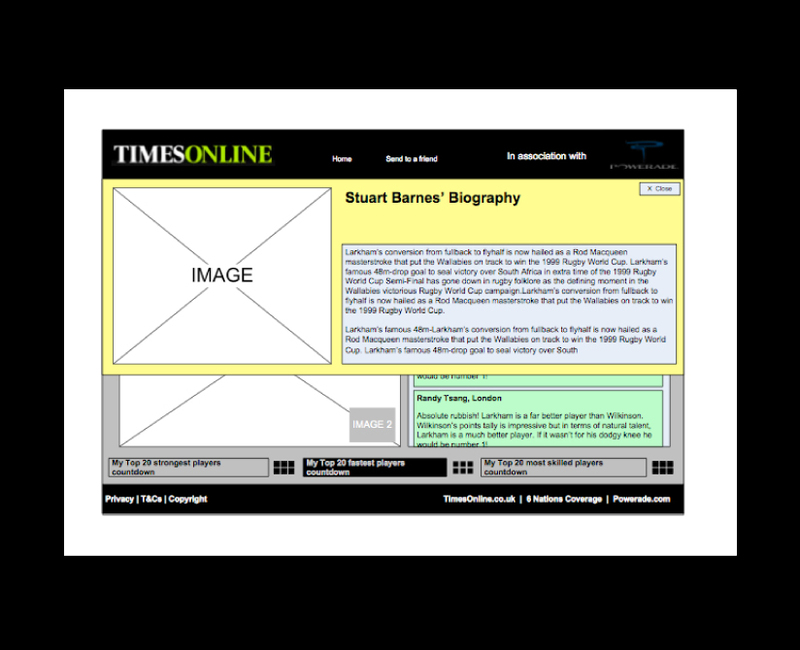 The pop-up was co-branded with TimesOnline and Powerade. 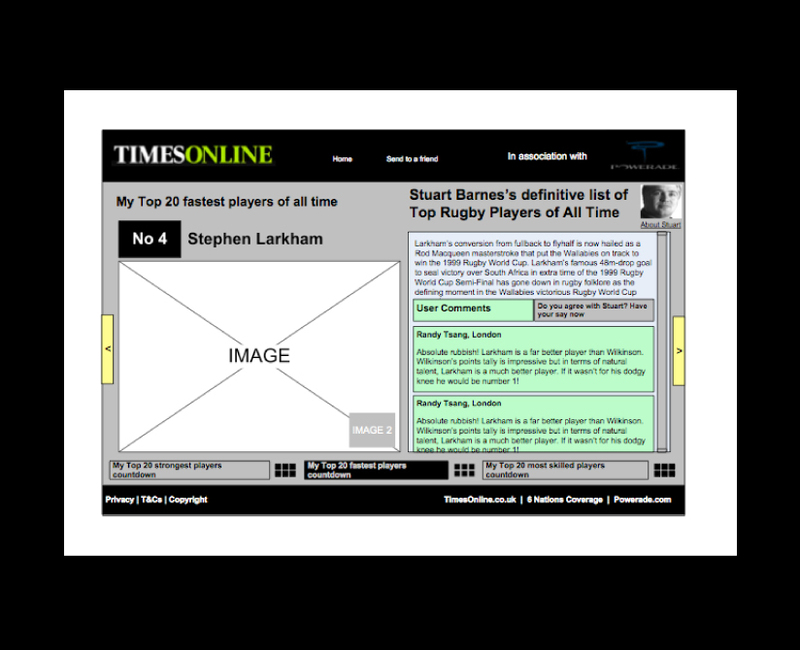 The brief was to showcase the rugby players in a fun and interactive fashion whilst also to encourage comments and user feedback from the public. 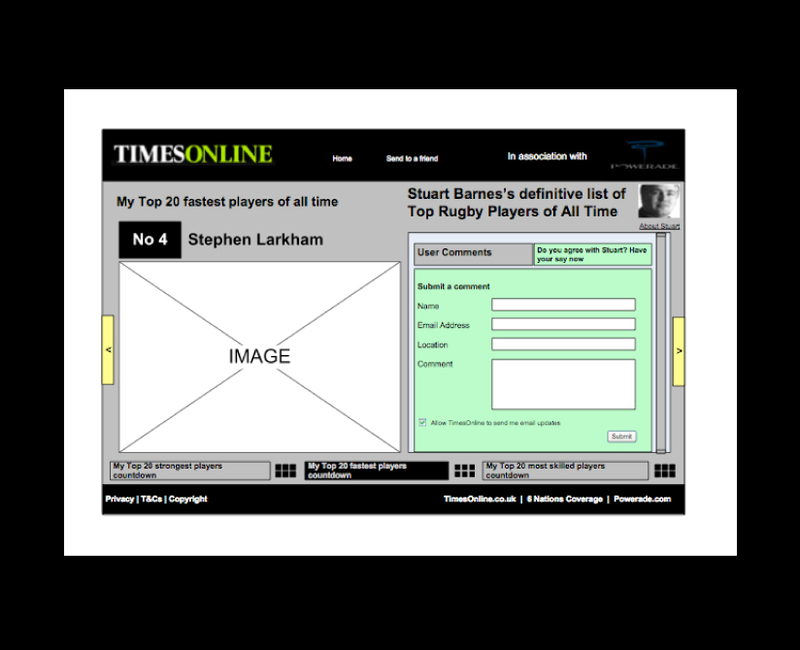 The pop-up was meant to be designed and built in such a fashion so that it could be easily replicated for other events such as the 2008 Lions tour and Wimbledon.